1) Do not leave the Motorcade. All Riders who start must finish the entire ride. 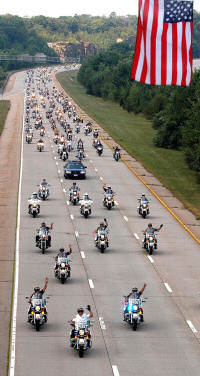 Riders are not allowed to leave the motorcade unless for emergency medical or engine trouble. Riders who leave the motorcade during the ride leave huge gaps and increase the likelihood of cars unsafely entering the line. If you do not want to do the entire 60 miles please do not sign up. 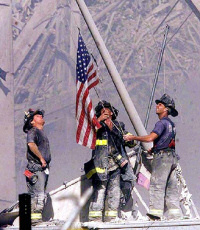 2) This is a 9/11 tribute for the victims and heroes. Any participant whose conduct is rude or disruptive to any of the speakers during the remembrance ceremony will be removed from the lineup and not allowed to participate, with no refund, and permanently banned from participating. The CT United Ride greatly appreciates everyone's support each year. Due to Law Enforcement, State permit and Local safety and insurance concerns we have to implement the following restrictions for the safety of all the riders in the motorcade to maintain a staggered motorcade. There have been issues with the large size of vehicles and conversely the lack of power of the smaller engines. We do not go on the Highway, But the need to close gaps requires engine strength that can safely and legally travel on the highway. Two wheeled motorcycle with a side car. Register your email to receive updates about the ride!